Is nuclear power generation dangerous? The only major nuclear accident in the U.S. — Three Mile Island, in 1979—caused neither death nor increase in cancer areawide. The 2011 ‘disaster’ at the Fukushima plant in Japan also directly caused neither deaths nor disease from exposure to radiation. It’s an excellent piece worth reading in full, not least for its corrective of the all-too-common myth that nuclear power somehow maintains a comparatively weak safety record. Whatever one’s opinion of electric automobiles, all reasonable people can agree that the federal government shouldn’t be wasting billions of dollars to pick winners and losers in a functioning market. That’s especially true when nearly 80% of the federal subsidies go to households earning over six figures, making it essentially a regressive tax in addition to wasteful spending and a market distortion. But that’s precisely what the existing federal electric vehicle tax credit does. In 2008, President George W. Bush signed into law a bill passed by the Nancy Pelosi/Chuck Schumer Congress to provide $7,500 tax credits for the purchase of electric cars. Shortly thereafter, Barack Obama extended that credit to cover the first 200,000 electric autos sold by any and all car manufacturers in the United States. By 2017, the total cost exceeded $2 billion. But believe it or not, some in Congress actually seek to expand this indefensible program. Under their plan, all existing caps would be removed, which the Institute for Energy Research estimates would cost an astonishing $95 billion between 2020 and 2035, and costing every American household up to $70 per year over that 15-year stretch. He’s right, and it’s time to put an end to this wasteful, market-distorting subsidy to wealthy car buyers. 5:30 CDT/6:30 pm EDT: William J. Conti, Partner at Baker & Hostetler: Presidential Authority in a State of Emergency and the Latest on the 2020 Democratic Presidential Candidates. The Trump Administration has announced a proposal to do away with rebates paid by drug manufacturers to pharmacy-benefit managers, replacing them with discounts to beneficiaries at the point of sale. PBMs are middlemen that control ‘formularies,’ the lists of drugs covered by a plan. Rebates from drug companies to PBMs are payments for influence – either to position a drug on the formulary as ‘exclusive’ or to give it preferred status over competitors. Mr. Atlas delves into statistics showing the enormous advantage that Americans enjoy in terms of new drugs and health outcomes, and his piece is well worth the full read. Hopefully policymakers at all levels of government are listening. Bad news, socialized medicine advocates. 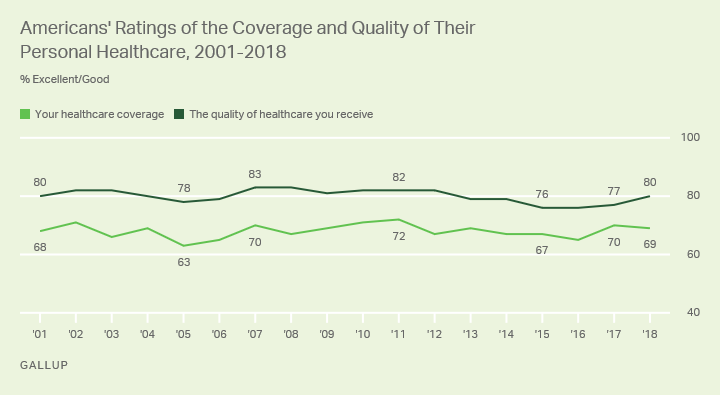 The latest Gallup survey on the issue shows that Americans still overwhelmingly rate their healthcare as positive. Notably, ratings have improved since Donald Trump replaced Barack Obama, and began chipping away at ObamaCare. 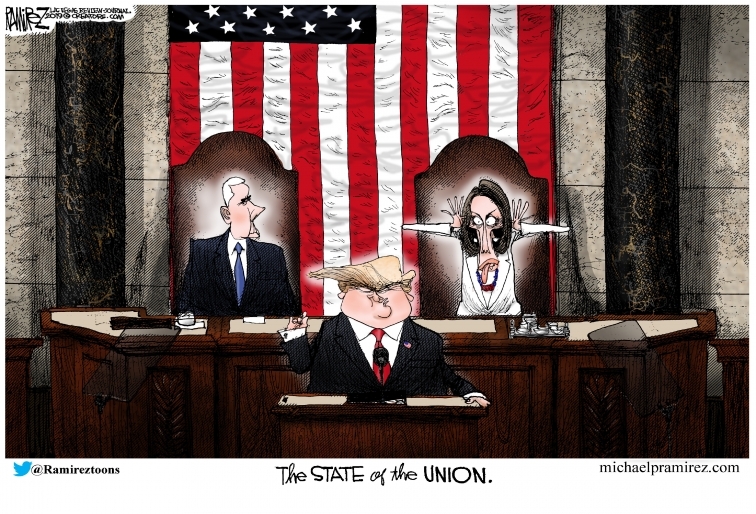 Socialized medicine advocates thus have their work cut out for them in selling their program to the American electorate.